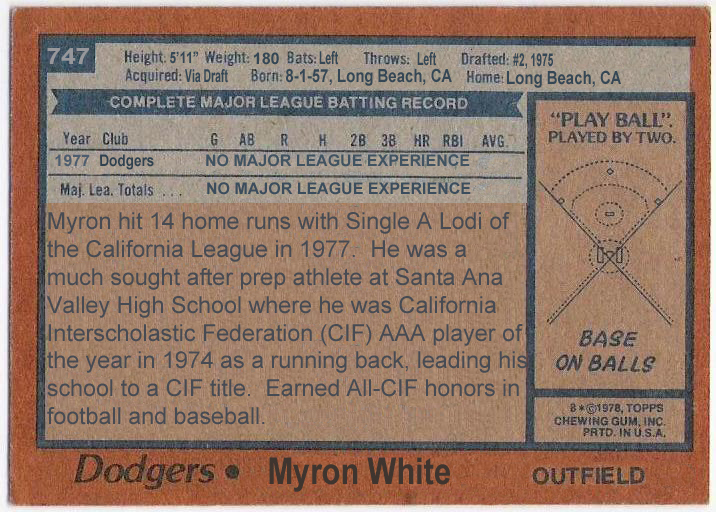 myron white was the dodgers' second round pick in the 1975 draft. he chose to sign with the blue for $60,000 instead of going to ucla where he had a football scholarship lined up. 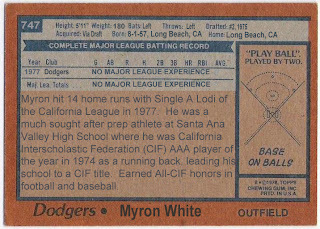 you see, white was a prep football stud from orange county, having rushed for over 4,000 yards in his high school career after replacing garry templeton at tailback. 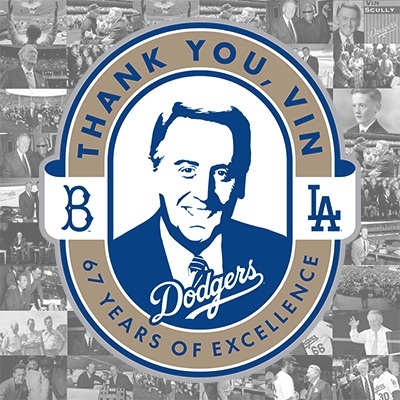 still, white chose his love for baseball and the dodgers over the bruins and a possible nfl career, and reported to the minor leagues. three years later, the 21-year old was making his major league debut for the dodgers. 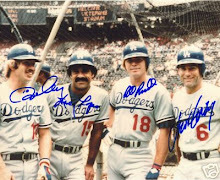 luckily for white, the 1978 dodgers had a fair amount of older players who didn't run so well. he debuted as a pinch runner for vic davalillo on september 4, 1978, and was forced out at second base. his next 4 appearances were all as a pinch runner (he scored the only run of his career pinch running for manny mota in his third big league game), although he did stay in a couple of games to play the outfield. 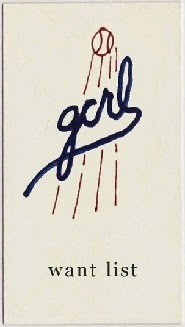 white finally got his first big league at bat on september 30, 1978 when he replaced jerry grote in the lineup. he grounded out against the padres' juan eichelberger. 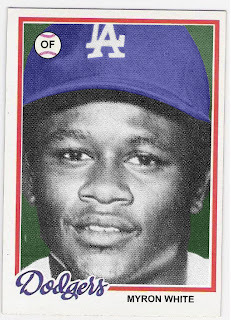 the next day, white entered the game in the third inning, replacing ron cey in the lineup but playing right field (lee lacy moved from right to second, and grote went to third). facing gaylord perry, white singled his first time up and was then thrown out trying to steal on a 'strike-em out, throw-em out' double play. his next time up, perry struck him out, but white came back with a game-tying rbi single in the 8th inning off of the hall of famer, although he was thrown out trying to stretch it into a double. the final at bat of white's major league career came in the top of the 11th inning against another hall of famer, rollie fingers. white sacrificed davalillo to second, where he was stranded, and the padres won the game in the bottom of the inning. game over, and as it turned out, white's big league career over. 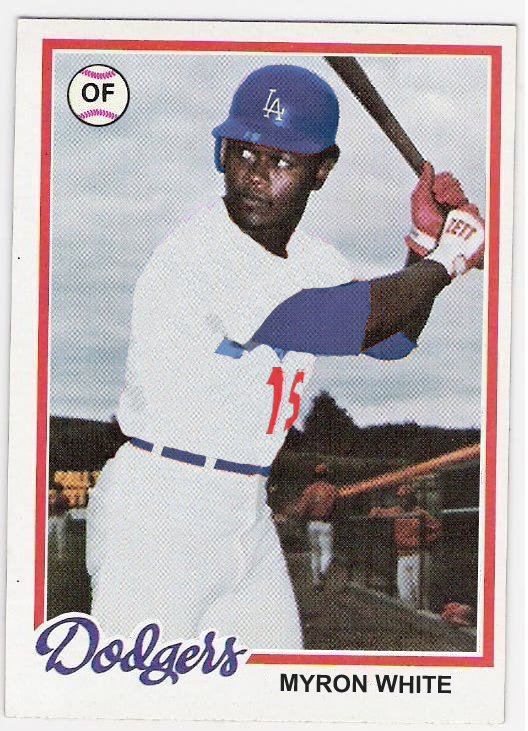 he spent the next couple of seasons playing for the dodgers' minor league clubs in san antonio and albuquerque before being sent to the oakland a's after the 1981 season. he played with the a's in spring training in 1982, but was released after going awol at the start of the minor league season. out of baseball, white enrolled in the university of hawaii to play football, but suffered a knee injury which ended his athletic career. even though white's rushing records have since been broken, he can say he has a career major league batting average of .500 and a perfect fielding percentage. that's not too bad. here's to you, myron white, and your card that should have been!